"It is better to trust in the Lord Than to put confidence in man." (Psalms 118:8). 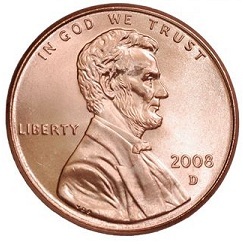 The phrase first appeared on a two-cent coin in 1864, during the fervor of the Civil War. The bloody conflict had driven masses of Americans to their knees, and such sentiments of trust in God were widespread. Nearly 100 years later, after surviving two world wars and numerous other national adversities, such sentiments of faith remained high, which led to an act of congress in 1956, making “In God We Trust” the official U.S. motto that still appears today on U.S. currency. However, what a difference a hundred-fifty years makes. Long-gone are the days which most American families attended church on Sundays, and viewed prayer and faith in God as vital to their survival. Since those times, beginning especially in the 1960’s, America began a prolonged spiritual decline that has affected every facet of our culture. Over a span of 50 years, God and His influence has been largely dismissed from much of our society. Today, Biblical values and morals are generally rejected by our peers, and ridiculed by Hollywood and the entertainment industry. The public school system has effectively kicked God out of the nation’s classrooms, and our government and leaders have become predominantly godless and corrupt. “In God We Trust” doesn’t seem to be an appropriate fit for today’s America, steeped in narcissism, immorality and depravity. However, there’s still a glimmer of encouraging news for the old relic. According to a 2003 Gallup Poll, at least 90% of Americans still approve of the inscription on U.S. coins. What an irony, that while Americans tried so hard to forget God, to exclude Him or His influences... a reminder of trusting Him still remains as close as every pocket or purse. Obviously, the inscription didn’t originate there by coincidence... but was an act of God, to drop His divine calling card in our pockets to remind us where to look for strength and encouragement. So if Americans are still okay with the old motto, what does that mean? Maybe nothing, but then again it could imply that, while most still don’t have much of an appetite for God or His ways, some may think that trusting in God might still be a future backup option if everything else fails. Or maybe it’s a sign of dormant faith, that could yet reawaken under the right circumstances. Considering the rising tide of problems and crises for our nation in recent times, it’s possible that people might start looking to the Lord for their answers again. Many are deeply worried and confused about what’s happening across our land... fearful about the future, the rising threat of terrorism, the unstable economy as well as the uncertainty of political leadership. Maybe this would be a good time for everyone to take out a coin and review the meaning of that old inscription again. While society long-ago redirected their dependence away from God, and toward man and his institutions instead... some might start to realize man’s limitations and the need to look to God’s help again. Perhaps this need will be most easily seen in the futility of our chaotic political system. As our nation became more sophisticated and godless, most stopped looking to the Lord for their answers, and started electing candidates to solve their problems. Such issues, however, can reach such levels of intensity and complexity, that man simply can’t solve them. Needless to say, America faces many challenges today that no elected politician can fix... and regardless of whether they realize it, they need God’s help. That’s where all Christians need to get involved. First, as citizens, believers should vote in every election and participate in the political process. We should support, speak up for, and pray for political candidates who embrace our freedom-loving Christian values, and who oppose those politics and philosophies that seek to destroy the freedom and values of our nation. But after we’ve exercised such rights, and have done all we can do, we must then trust God with what follows. More than all our physical labors, we need to go to knees and pray for those who have been elected. Regardless of whether they follow Christ or share our views, we must pray that God will influence His will and guidance in their decisions... for our sakes, as well as for our nation. Many of us may look back at recent elections with disappointment. We prayed, sought God’s wisdom to vote for candidates we believed would be honest, trustworthy and who could provide good leadership... and were dismayed to see that many other voters could not see things as clearly as we did. But we have to realize that even whenever we can manage to elect those who seem to be the right candidates, they are only human with mortal weaknesses, and can sometimes do more to displease than please us. We all can probably think of some we supported who failed our expectations... while occasionally others we opposed, surprised us by better-than-expected performance. The fact is, regardless of “who” is elected to any political office... or whoever serves as the nation’s president, we never know for sure what we will get. Politicians and leaders are mere mortals, so either way, regardless of who’s elected, we still must “Trust God” and pray for His will to be done through them. We must pray that God can either help them remain true to the values and judgment we thought they had, or turn them around completely and bring them to their senses. God can also, of course, remove a leader when He sees it to be His will. According to Eusebius, a historian and bishop of Caesarea in the second century, both Peter and Paul were eventually killed at the orders of Nero, who ironically committed suicide later the same year that Paul was executed in 68 A.D.
Paul’s admonishment just a couple years or so prior to this, takes on special significance, as he knew how important it was to pray for such leaders. Although he would be martyred by this wicked tyrant, Paul had trusted the Lord with his fate, knowing that his life was not at the mercy of the emperor, but was surrendered to the will and purposes of God. Therefore, let us all be encouraged to realize that earthly leaders do not control our destiny, only God. Thus, let us put our trust in Him, rather than man. “I urge you, first of all, to pray for all people. Ask God to help them; intercede on their behalf, and give thanks for them. Pray this way for kings and all who are in authority so that we can live peaceful and quiet lives marked by godliness and dignity. This is good and pleases God our Savior...” (1 Timothy 2:1-3 NLT). This article (VL-619) is copyrighted © by Dr. Dale A. Robbins, 1990-2019 and is a publication of Victorious Publications, Grass Valley, CA - Nashville, TN. Unless otherwise stated, all scripture references were taken from The New King James Bible, © Thomas Nelson Inc., 1982. You may download this article for personal use as long as you retain credit to the author. Obtain permission before reproducing copies for any reason, by filling out our simple use permission form. Many of our writings are also available as free pdf tri-fold pamphlets, which can be downloaded for reproduction from our Online Catalog. For media reproduction rights, or to obtain quantities of this title in other formats, email us. If you have appreciated these online materials, help us reach the world with the Gospel by considering a monthly or one-time tax-deductable donation.